Hong Kong can nudge you out of your comfort zone but its well worth it! Sample the shredded jellyfish, brave the hordes at the city centre horse racing and join in the dawn tai chi. Escape the city limits and other experiences await - watching the sun rise from a remote mountain peak or hike along the surf-beaten beaches. Perched on the edge of China, Hong Kong straddles two worlds with an exciting fusion of past and present. A blend of cultures and experiences, Hong Kong really is the place where East meets West. 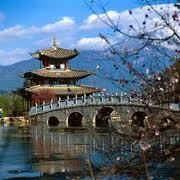 For cheap flights to Hong Kong and beyond, we would recommend you book early for the best deals. Hong Kong offers a host of attractions from the bright lights of the city to exquisite Victoria Harbour, ancient temples to lofty mountains and Colonial buildings to sandy beaches. If you're looking for direct flights to Hong Kong, China, there are several airlines which fly directly from the UK including Cathay Pacific, Virgin Atlantic and British Aiways. For some of the cheapest deals on flights, airlines which fly indirectly with a short transit en route are a good option. The territory of Hong Kong consists of Hong Kong Island, Kowloon and the New Territories (which includes numerous outlying islands to explore). Getting around is efficient, easy and very affordable whether you travel by rail (MTR), bus, ferry or taxi. Hong Kong is also known as the gateway to the East with easy access for visitors travelling onto Southeast Asia and China. Only 80 square kilometres in size Hong Kong Island is not only home to the bustling metropolis of the business district but also to many famous attractions. Take the Peak Tram up to The Peak and admire the spectacular views, join the shoppers at Stanley Market, soak up the sunshine on the sandy beach of Repulse Bay or have a flutter at the Happy Valley Racecourse. Separating Hong Kong Island from Kowloon is the magnificent Victoria Harbour where you can take a ride on the Star Ferry, spend an afternoon cruising the waters or set sail in a traditional Chinese Junk. Explore Kowloon for cultural treasures such as the Sik Sik Yuen Wong Tai Sin Temple and the Kowloon Walled City Park or search for a bargain at the many stalls and markets including the famous Temple Street Night Market. Head to the New Territories for stunning scenery and the great outdoors. 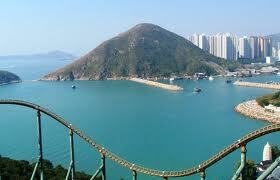 Just a short ferry hop away is Lantau Island, home to the Giant Buddha and beautiful beaches. Admire the volcanic rock formations at the National Geopark, hike along the many trails or enjoy the diverse wildlife at the Wetland Park. Try our superb flight comparison search function on Directflights.com, the fastest growing travel comparison site for the best deals on cheap flights to Hong Kong. For the lowest prices, we would advise that you travel out of season, book well in advance or look out for special offers from the airlines. As well as finding you the cheapest prices on flights, we can also find you the most competitive deals on lastminute flights to Hong Kong. Hong Kong has a humid subtropical climate. Summer is hot and humid with occasional showers and thunderstorms, and warm air coming from the southwest. Summer is when typhoons are most likely, sometimes resulting in flooding or landslides. Winters are mild and usually start sunny, becoming cloudier towards February; the occasional cold front brings strong, cooling winds from the north. The most temperate seasons are spring, which can be changeable, and autumn, which is generally sunny and dry. Hong Kong averages 1,948 hours of sunshine per year, while the highest and lowest ever recorded temperatures at the Hong Kong Observatory are 36.1 °C (97.0 °F) and 0.0 °C (32.0 °F), respectively.